class="post-template-default single single-post postid-335180 single-format-standard group-blog masthead-fixed full-width singular wpb-js-composer js-comp-ver-5.7 vc_responsive"
In the wake of freak accident that resulted in the partial amputation of a Leyton football player’s leg, community members have stepped up to help create a donation fund to help cover medical expenses. Drew Haley is recovering after his surgery that required partial amputation due to a severely damaged leg artery. 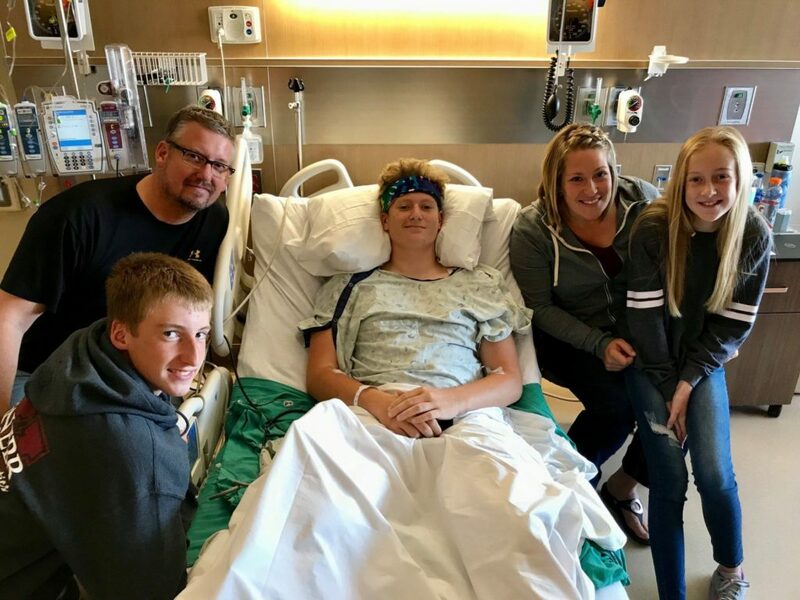 Family members say the community support has been overwhelming, and now they are pitching in to help cover the Haley families mounting medical bills. Kelly Reimiers- who is coordinating these donations- says that 100% of all monies received will go to the Haley family to cover medical expenses.